Growing up in a village (literally, it’s officially a chartered village) in Western New York State, I didn’t have much in common with most people in the community. My family was one of 4 Asian families in town. Most people my age hadn’t even heard of the country from which my parents hail, Korea (the Forgotten War, indeed). We were non-religious in a place with 4 churches that dominated the quaint downtown square on...you guessed it...Church Street. We were white collar in a predominantly blue collar/rural region. I know. We were so clever. In the early 90s, my family moved to Buffalo itself, right in the midst of the Bills glory days when they, as everyone probably already knows, made it to four consecutive Super Bowls, but didn’t manage to win one. In the years since, as life has taken me 2500 miles away from my hometown, my attachment to the Bills has never waned, despite their current ignominy as a team in the throes of a 13 year playoff drought, the longest in the NFL. A strange thing happened, though; something that I never expected. While I was always a fan of the Buffalo Bills, the football team, I was not necessarily a fan of football, the sport itself. But, with the help of my SHO, who understands football in a way that I never will, I’ve grown to appreciate its complexity, its strategy, its status as the ultimate team sport, its unabashedly arrogant theatrics, its history, and its place in our country’s history, both as a pastime and microcosm of American culture and society. Unfortunately for me, the football season, both for college and the NFL, is relatively short, the regular season spanning only four months from September through January. Fortunately for me, in addition to the countless number of football documentaries available on Netflix (Harvard Beats Yale 29-29 is a particular favorite of mine), there is a plethora of books on football for me to read during the off-season. This is especially handy now, when every other sport that I enjoy is also on hiatus, a convergence affectionately known as Laura’s Summer Sports Slump. A lot of books on football are more akin to reference guides, covering stats and exciting topics like the development of the West Coast Offense. However, my favorites, as follows, are the ones that aren’t just about football, but about the special, everyday moments that make up life. Ok, so I’m cheating a little bit here because only the first two books of this series are football books, but whatever. They’re all delightful and all y’all will definitely want to read the third one by the time you’re finished with the second. Anyways. 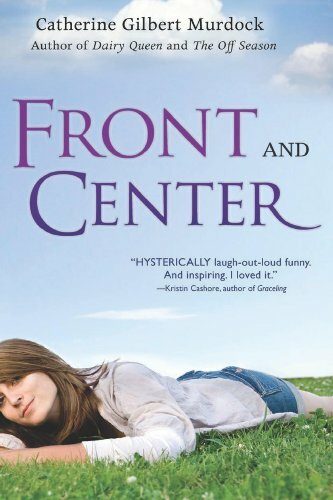 There is a certain (very unrealistic) book about a female football player out there that has been quite popular, but may I steer you towards D.J. Schwenk instead? C’mon. 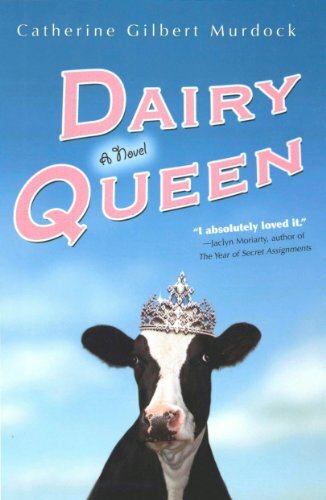 She gets up at dawn every day to milk cows on her family’s dairy farm in rural Wisconsin and her older brothers never call home, but she doesn’t know why, and now she’s stuck training the stuck-up (or maybe not-so-stuck-up and quite possibly very attractive?) quarterback from her rival high school’s football team for the summer. Hell, if I were in her cleats, I’d totally want to put on some pads and tackle people too. I love this book. Just read it. As a senior in high school, Hampton Green has emerged as the star linebacker for the Kennisaw Knights, a team vying for its unprecedented fifth consecutive undefeated season. 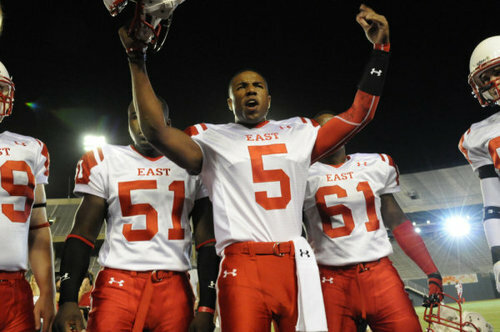 But outside of Friday nights, he is the antithesis of the stereotypical jock, introspective, awkward around girls, and generally content to follow the lead of his best friend and teammate Blaine. 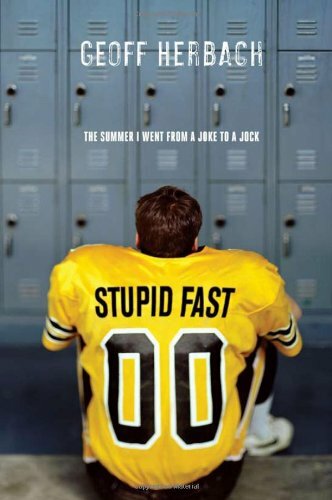 As the season progresses, Hampton comes to realize that there is life beyond football and is thus faced with a series of decisions that will determine whether he will remain a shadow in his small Oklahoma town, or if he will become the leader of his own life. 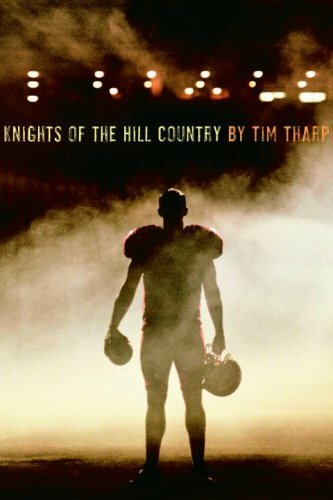 While the authentic small-town setting and dialect permeate the book, author Tim Tharp also weaves a familiar story, where the aches and pangs of growing up are always near. Mired in the fertile muck of the Everglades, the city of Belle Glade, Florida is home to the Glade Central Raiders, a high school football program that has sent a staggering 27 (and counting) players to the NFL since 1985. But away from the football field, Belle Glade suffers under the weight of chronic unemployment, crushing poverty, violent crime and a devastating rate of HIV/AIDS. Author Bryan J. Mealer expertly chronicles a place where Big Sugar has mechanized so many precious jobs away, where the the most promising of youth so often succumb to the toxic environment and end up in prison or dead from a gunshot, but also where the lucky, talented, and driven occasionally manage to rise from the muck. In such a place, football is not merely entertainment, but a potential salvation. 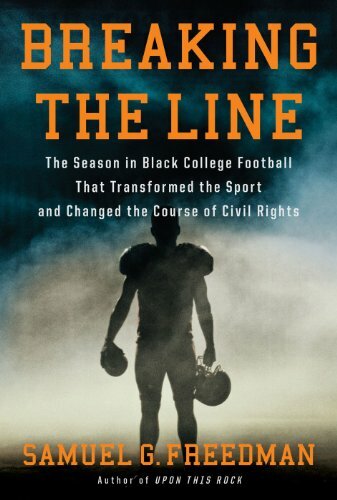 Chronicled and meticulously researched by Samuel G. Freedman, Breaking the Line is the story of Jake Gaither and Eddie Robinson, two black coaches who were determined to break the color barrier in college football amidst the roiling Civil Rights Movement, and how they changed the face of football in the process. In 1969, the first game between a (now historically) black college (Florida A & M) and not-so-desegregated white college (the University of Tampa) was played in the Deep South. 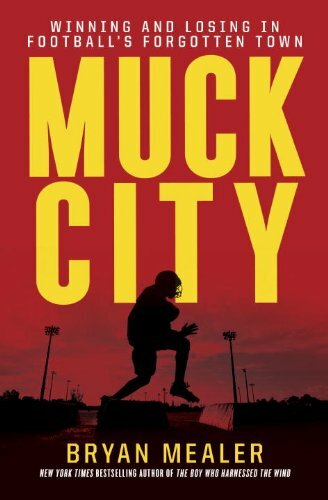 At the time, most people stubbornly clung to the racist notions that black people lacked both the intelligence and discipline to play football as well as white people. Sadly, some of those stereotypes still persist to this day, as evidenced whenever a black quarterback faces an inordinate amount of scrutiny compared to his white counterparts. But, for the 2011-2012 season, 67% of the players in the NFL were African-American, a number that can be attributed to the relentless efforts of Gaither and Robinson that shattered racist stereotypes and forced college programs to desegregate once and for all. 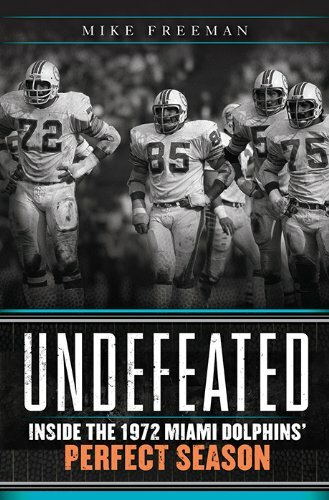 In 1972, the Miami Dolphins played a perfect season. No other NFL team has ever completed an undefeated and untied regular season and then gone on to win the Super Bowl before or since. 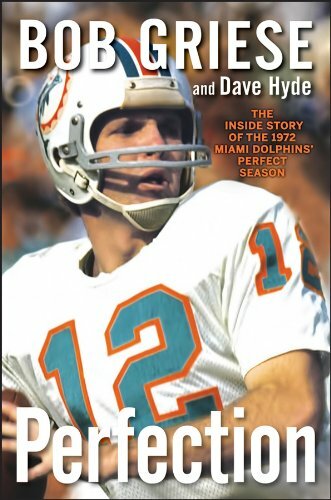 Perfection, co-written by the starting quarterback of the Miami Dolphins from 1967-1980, Bob Griese, tells the story from inside the locker room. It was a different NFL then, an era when a football salary needed to be supplemented by an off-season job selling real estate in order to pay the bills, when the gravity of a concussion’s impact was not yet understood, when any and all drugs, from stimulants to painkillers, were not yet regulated by the powers that be, all of which perpetuated “this locker-room culture that pain was negotiable but victory was everlasting” While Perfection is limited in scope, it sparkles with humor and joie de vivre as the unique account of a rare accomplishment from someone who not just watched it, but lived it. CBS Sports columnist (and highly entertaining Twitter follow) Mike Freeman covers the same events in the broader context of the tumultuous social and political climate of the time in his book Undefeated. The struggle of the black players -- from unofficial quotas on black players adhered to by every NFL team that limited their numbers and playing opportunities to the housing discrimination that restricted where there could live despite their finances -- is especially emphasized, as well as enlightening. Freeman also makes sure to credit head coach Don Shula for keeping the team, which could so easily have fallen off track due to racial discord, focused throughout the season. While Bob Griese’s ego occasionally gets in the way in Perfection, Freeman provides a much more balanced look that helps the reader realize just how remarkable the 1972 Dolphins’ achievement really was.